Treat your hair to the body-building properties of Molton Brown Kumudu Volumising Conditioner, a lightweight, volumising conditioner that works to nourish and add body to hair without weighing it down. Infused with conditioners to smooth, soften and detangle, the conditioner combines Kumudu fruit with Amino Acids to intensely nourish, promote mirror-like shine and reduce breakage. 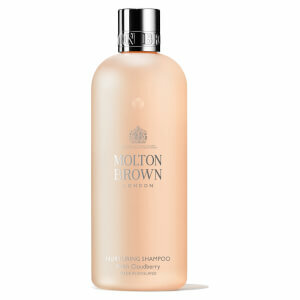 Hair is left soft, fuller-looking and scented with a Grapefruit, Magnolia and Cedar fragrance.